This photo which could be a postcard was taken by Joanne Lauder while having breakfast at the Lodge. Even in the winter, the views are truly amazing. 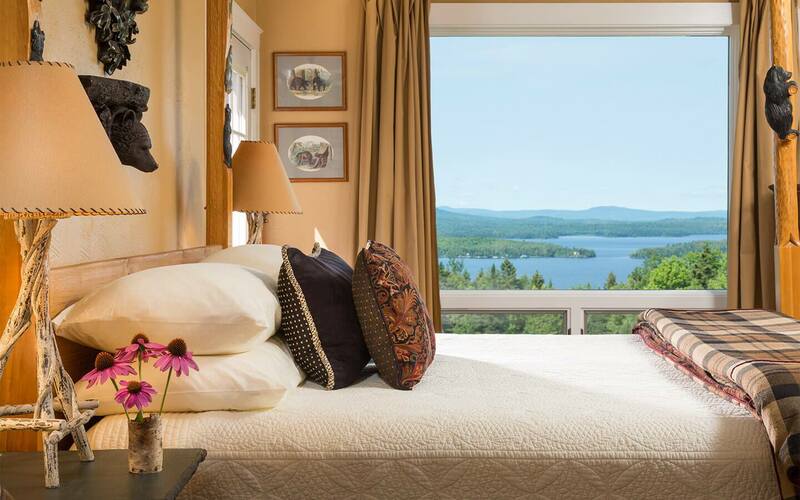 This pristine beauty is still available in special places in the US – one being Moosehead Lake. Crayfish and spinach stuffed trout pan roasted over vegetable pancakes with lemon butter sauce is a new featured item at the Lodge, prepared by Chef Dennis, the owner. Be sure to save room for mixed berry cobbler, chocolate lava cake or cheesecake. Start your evening with a one of a kind Mooseapolitan TM Martini.